The Inorbit ITPL has fewer fine dine options compared to the nearby malls (Phoenix, Park Square 3). The Copper Chimney is one of the few options available there. To be true, our last experience with the same had not been a good one. 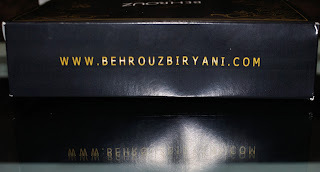 We had earlier tried out at Copper Chimney Phoenix marketcity during a kebab festival. The kebabs were nothing special except for their prices! So, hesitantly we entered the place this time. I was all the more nervous as I took my Mom and Dad as well. The ambience was quite impressive. 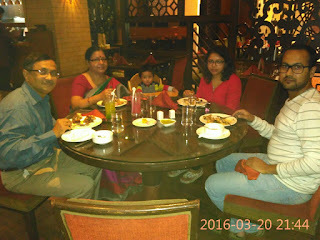 We were a group of 5 including my one year old peanut who was gladly seated to a wooden high chair. The staff were courteous. 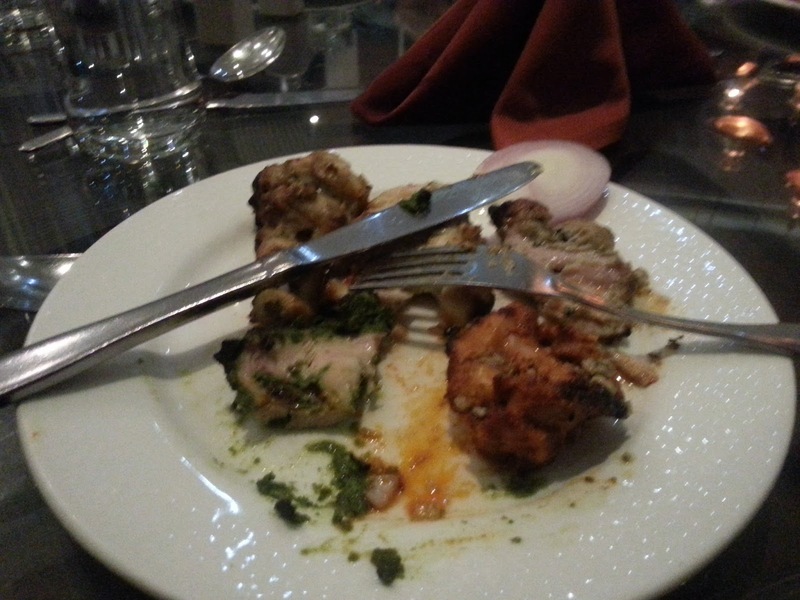 We ordered chicken kebab platter as starter and masala papad was suggested by the learned waiter. Main course was nans, tandoori rotis, lamb rogan josh and murg tikka makkanwala (Similar to chicken butter masala). We had also ordered kiwi & peach non alcoholic margaritas. The serving time was comfortable. The kebabs were just perfect for four adults and quite filling. Taste was awesome, awesome and awesome! The reshmi kebab melted in mouth as soon as I tasted. Even my toddler was eating bits of it and enjoying. By the time the main course arrived we were 80% filled up. But again, the murg tikka butter masala was so beautifully cooked that we were tempted to finish the rotis. The Lamb Rogan josh was nice (a bit different than the usual one) but could not compete with the chicken. I would say that the mocktails were average as they used flavoured syrups instead of real fruit juices. There was no space left in our tummy so we did not order any desserts. Overall we just loved the food this time and will surely visit again.